As a souvenir from my trip to Sweden several years ago, I bought some yarn named “Linnea,” which I learned is a favorite Swedish wildflower. The colors of this quilt are the same as those spun into the yarn. I love making “built-in borders,” with the piecing forming a chain when the blocks are set on-point. 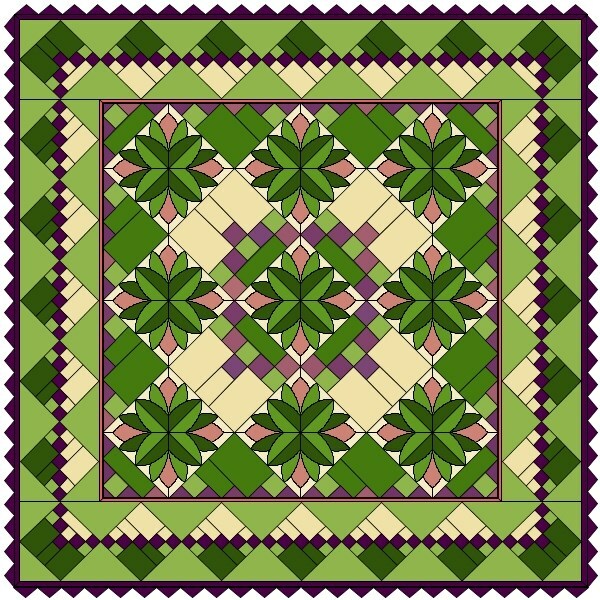 This concept came from my friend, Sally Schneider, a quilter and author. The Prairie Points border was drawn as PatchDraw motif and set on Layer 2 around the edge of the quilt to create a virtual border.